OTech: To pre-check or not to pre-check TSA? That’s the question. To pre-check or not to pre-check TSA? That’s the question. 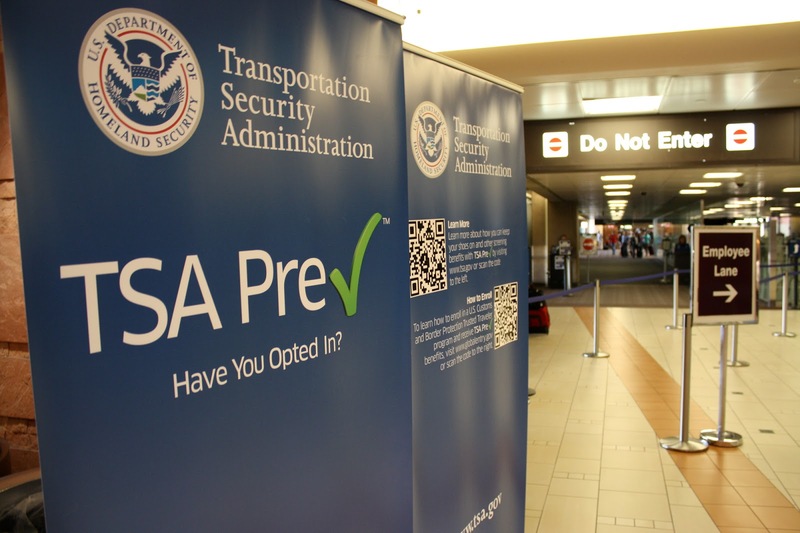 entry membership, allowing you to zoom through customs, there is a good chance you qualify for TSA pre-check. The idea is that you can use a special check-in line at the airport, you do not have to get an X-ray taken, but rather go through a metal detector, and, you don’t have to take off your shoes, jacket or hat or take your computer out of your carry-on. It is supposed to take less time and be more convenient, at least that is the idea. But that often is not what it turns out to be the case, especially if you fly out of DFW airport. First of all, not every security entry point at DFW has a TSA lane, so you need to know where these are, however, it appears that I always end up at the wrong gate. For example, let me share with you my most recent check-in experience. I was getting my boarding pass and checking in my luggage at C-39. As you might have noticed, gate agents have all but disappeared at the counters. You check in at a machine, have to go through several menu’s asking you if you want to spend a few extra dollars for upgrades, buy frequent flyer miles, (no idea why someone ever would want to do that), or if you will have a young child in your lap. Then a luggage tag and boarding is printed by the kiosk, and you have to put the tag on and bring the luggage to a person who’s only job is to puts it onto the belt (seems redundant to me). Then, I walk to the check-in area, which has a sign showing “closest pre-check at gate 20.” Decisions to make; less hassle, more walking but I have time, so I decide on walking back half a mile or so to get to the gate 20. At gate 20, there are about 20 people at the pre-check line, one or two at the regular line. Well, I walked all the way to gate 20, so I might as well, choose the hassle-free line, and decided to join the long line. And, from experience, there are always a couple of people who are in the wrong lane anyway, so indeed, a young couple as well as two gentleman who seemed to be kind of lost had to be rerouted to the non- pre-check lane after they reached the front of the line. Finally, I am assisted by a firm looking female TSA agent who smiles at me and signs off on my boarding pass after having a good look at my mug-shot driver’s license picture. Yes! I can put my backpack and carry-on with my computers on the belt and zoom straight through, sneakers and all. I read an article that the floor in these metal detectors and/or X-ray machines contains a very high bacterial count, as a matter of fact, I don’t understand why mostly woman often go through with bare feet without having socks on or putting on those little surgical socks that some airports provide. I guess a good reason for the pre-check after all. But, my carry-on does not make it through unnoticed. Not uncommon, as I have a lot of electronics with me that I need for my training class. I need my own personal laptop, one training laptop that is my server for students to connect to and simulate a healthcare IT system (“PACS-in-a-box”), and an additional one that simulates a student laptop for hands-on practice exercises. If I take all three out at the check-in, it typically annoys my fellow travelers, I sometimes joke to them “you can never have enough laptops,” which seems to alleviate the annoyance factor somewhat. So, the TSA agent takes my bag and takes out two of the three laptops and wireless router, which I also use in my class to allow my students to set up a virtual hospital network, and puts it through the x-ray machine again. After that delay, I collect my things, put my computers and router back in to the carry-on, fetch my phone and belt from my backpack, and walk back another half mile to gate 39. It took me 15 minutes longer to use the pre-check line, so after making a quick phone call, I am somewhat late in boarding, but still in time to get in the priority check-in lane to make sure I can put my luggage into the overhead bins, so I don’t have to check it in (which, based on experience, increases the chance that it would not make to the destination on the same flight). The good news is, I got to keep my sneakers on, and got extra exercise (helps my fitbit step counter), but is it worth it? I think next time I’ll go for the “regular” check-in lane, it allows me to have an extra few minutes to get a cup of Starbucks coffee and a newspaper. provided in this article is so useful for me. Content in this article guides in clarifying some of my doubts.